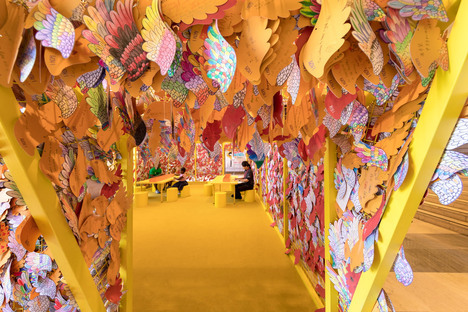 The Singapore and Paris-based architecture firm WY-TO was behind the installation and graphic design of the Children's Festival in Singapore for the exhibition "Small Big Dreamers" in the National Gallery Singapore. 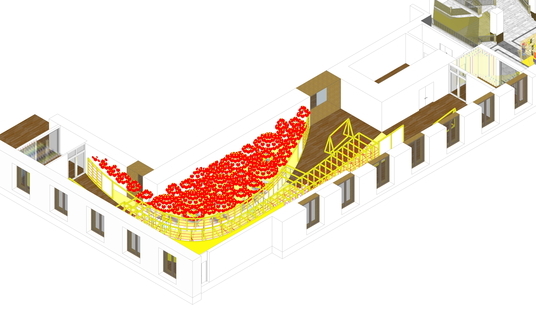 Singapore is a city-state that stands out not just for its iconic, green architecture (link WOHA) but also for how much attention it pays to citizens of all ages. 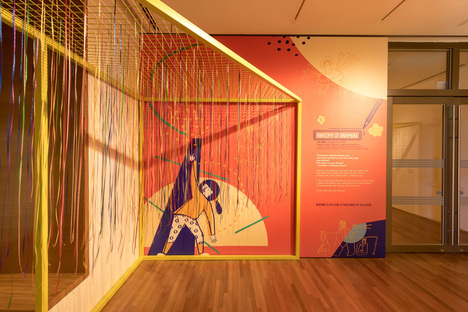 With its ongoing focus on engaging the younger public in Singapore, in 2018 the National Gallery Singapore presented its inaugural edition of the Children's Festival: Small Big Dreamers. 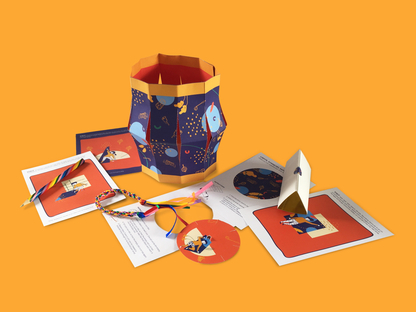 This initiative aims at giving kids the opportunity to free their creative juices, to imagine and re-imagine their worlds through experiential art and active play in order to learn to get to know themselves and the world around them. 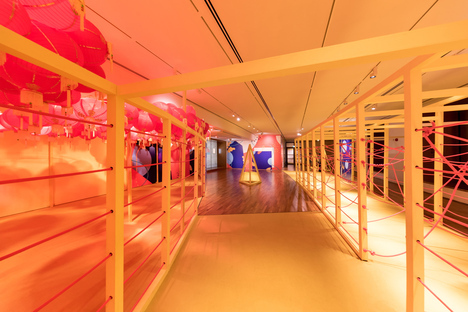 The underlying premise was the references to a Singapore-based artist actually in the National Collection - a big dreamer - whose backstory is the proof personified that anything is possible, regardless of the challenges facing us. 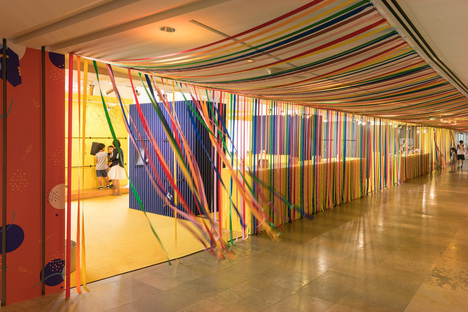 The festival set-up in the National Gallery and the graphic design for the initiative were the work of the architecture firm WY-TO, known to our readers for their sustainable architecture, also showcased at the 2016 International Architecture Biennale (link). 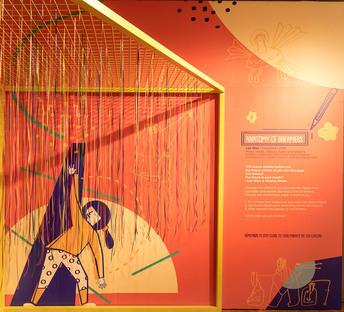 Under the theme of Discover art through body movement, the team faced a dual design challenge: to craft an engaging exhibition layout and to create a graphic design that would guide the children through the exhibition of this inaugural Children’s Festival. Last year's Big Dreamer was local artist, Lee Wen, whose story serves as an example of the power of the mind and of art to create endless possibilities, just like our dreams, which can take us to wonderful places and motivate and encourage us along our pathway, particularly when we're still very young. 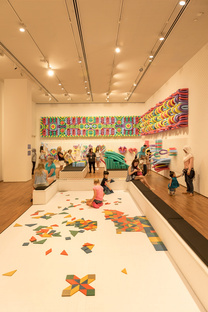 Based on this, WY-TO decided to craft a series of installations inspired by the life and work of Lee Wen, installations that stimulate interactive activities using different shapes, colours and patterns. 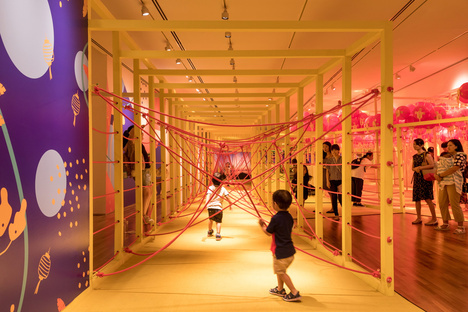 Alongside these were immersive and participatory works by Mark Justiniani (Philippines), teamLab (Japan) and We Make Carpets (The Netherlands). All in a sequence that allowed the children to discover art through body movement as they worked their way through obstacles, composed melodies, scribbled their innermost hopes and fears, and followed the path of the sun. 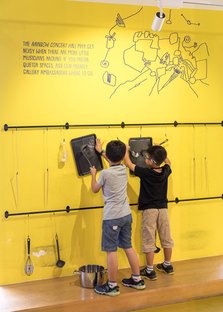 It was fundamental to create a Visual Identity to make it easier for the children to explore the exhibition and ensure its success. 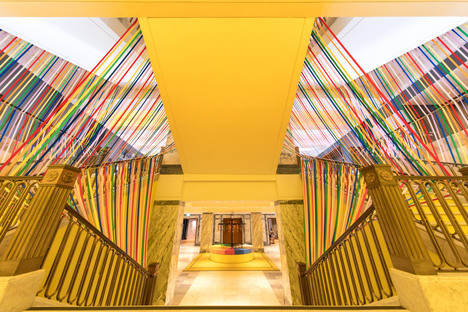 So WY-TO proposed a harmonious contrast between dreams and reality, representing the identifying themes of Lee's work on colour, journey and movement, all through the eyes of a child. 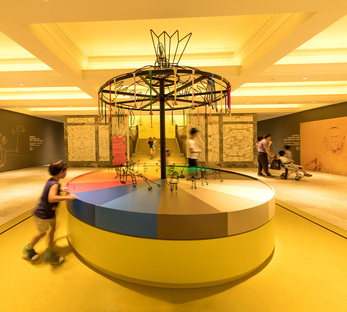 Dynamic movement with character design was used to help convey the messages of the exhibition activities. The striking thing about this balanced combination of exhibition and graphic design created by WY-TO is its fine elegance, light years away from the customary phoney infantile rhetoric and in particular leaving the children's minds free to dream and go where they took them to find their own meaning in the art they were seeing. 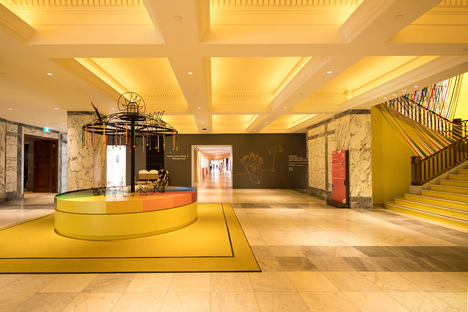 A truly wonderful foundation to introduce children to museums and culture in general.